Rent Trendy Restaurant with Breathtaking View | Corporate Events | Wedding Locations, Event Spaces and Party Venues. This venue quickly became famous for its dramatic decor, celebrity clientele, unmatched hospitality and most of all, its unforgettable Italian cuisine. This restaurant was officially opened to the Waterfront in 2010. 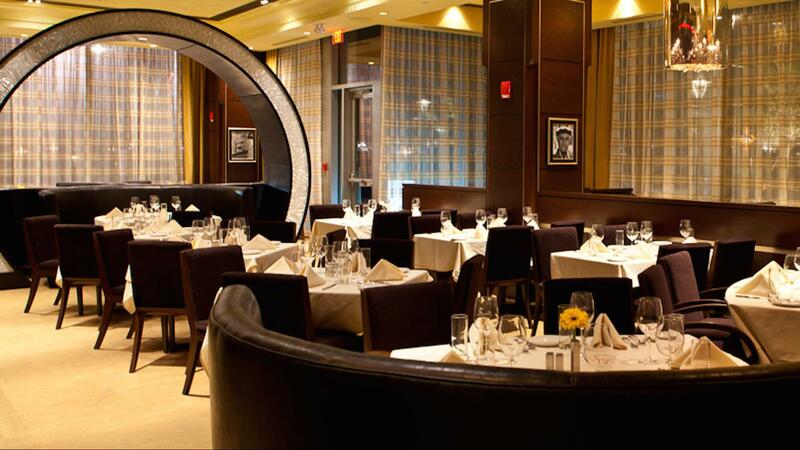 Located in the Seaport District, this venue is certainly Boston's foremost dining destination with breathtaking oceanfront views, dazzling interiors and a new twist on its famous Italian cuisine. This venue is available to accommodate small and large groups, special events and private functions for any occasion. We have a fully customized lunch and dinner menu to suit your needs and also offer alternative options featuring our vast wine list, speciality cocktails and hors d'oeuvres. The professional staff are courteous, attentive and gracious. We work with you to ensure that every detail, from the food to the ambiance, is perfect. It's the personal touches that make an event special, and our Private Event Staff will make sure you have an unforgettable experience at our venue. Enjoy our best-selling classics such as Veal Chop, Fettuccini Strega and Frutti di Mare, or try one of our many new unforgettable offerings. And if you're looking to unwind at night, our Lounge offers a full bar menu, hand crafted wine list and a wide selection of specialty cocktails.